A steadfast commitment to enabling and empowering people driving social change. In 1989, Clare Clark established the Carold Institute for the Advancement of Citizenship in Social Change, a small foundation that made a big impact in adult education and democratic participation. In a sector where it is rare to carve out opportunities for reflection, the Carold Institute provided precious space for people to deepen their learning and share their learning with others. With the Alan Thomas Fellowship, leaders at transition points in their career benefited from year-long sabbaticals to pursue research of importance to the sector. Fellows shared this research through reports, books, films and more. The Carold Institute also brought together groups of people animated around topics related to social change–local and global democracy, for example, and citizenship and globalization–in learning circles and other events. Some of these rich discussions are captured in the Carold Institute's publications, which remain relevant today. The Carold Institute established the Winifred Hewetson Awards in Community and World Service, in honour of Ms. Clark’s niece Win, who was one of the founding board members of the Carold Institute. In these and many other ways, the Carold Institute has connected people and provided a space where deep relationships formed, creating a vibrant network of those who shared a vision of adult learning related to citizenship and social change. Over its 30-year history, the Carold Institute held fast to the vision of Ms. Clark. The question of "what would Clare say or want" provided a moral compass to guide its decisions. In 2016, with the changing context of the social change sector and the adult education sphere, the board of directors agreed that the future of the Carold Institute’s work could only be guaranteed by embarking on a bold new partnership. They agreed that Ms. Clark had not envisioned the continuation of the Carold Institute for its own sake and, as they approached the limits of their financial resources, sought opportunities for collaboration rather than closure. In CKX, the Carold Institute found a partner that shared their values. This partnership means that the Carold Institute’s work will continue and grow. Together CKX and the Carold Institute are creating a new kind of social change agency, with a vision rooted in Carold’s core values and a new, bold pursuit. The archives of the Carold Institute, as well as Clare Clark’s papers, are held by the University of Waterloo. We have created a legacy, a fellowship to be proud of; may it continue to flourish. - Nigel Martin, former Board Member. Carold initiated conversations on dozens of issues that impact our understanding and practice of democracy and citizenship in Canada today – resource extraction in first nations communities, security and civil society, participatory democracy, innovation in social movements in Quebec, human rights and citizenship, emerging trends in voluntary action and more, the interface between big data and civil society. An impressive agenda for a little foundation with no staff and no office. Carold really is an amazing organization, doing what it can to improve civil society in Canada and around the world. It was a privilege to be a part of it. [Clare Clark] had a way of popping up everywhere, which really drew me closer: she was a leader in an era where women of her social class mostly held teas and garden parties. Carold has been a true place of reflection, exploration and social change. It has indeed been a small organization, shaped by ideas and the enthusiasm of its board members. Unfettered by a rigid structure, and limited really only by the amount of energy, time, and ideas one could bring to the table. The Carold Institute seems to me to the most “ego-less" organization I have ever experienced. I think that may be what has allowed it to inspire and enable creativity and commitment among so many in such different parts of our country. With the Carold Institute, I have seen a dedicated, thoughtful group of people take full control of a little bit of power and use it for the common good. The Alan Thomas Fellowship to Promote Civil Society and Voluntary Action was established in 2007 by the Carold Institute to develop better public understanding of the importance of volunteerism and to strengthen nonprofit leadership. Alan Thomas was one of Canada's most influential adult educators and integral to the creation of the Carold Institute. He also authored many books in the field and was a member of the Order of Canada. Fellows spent a year in reflection and research, culminating in a project that contributed in a publication or artistic expression that contributed to knowledge in the nonprofit sector. In 2016, the Fellows met in Antigonish, Nova Scotia. During the three-day retreat, they discussed the state of leadership in Canada’s social change and advocacy movements. Watch brief video reflections by the Fellows on their experiences of the Fellowship. Read their reflections in What Time Is It?, the report summarizing the retreat. The Carold Institute's values of reflection, learning, and social change is informing the design and development of CKX’s suite of programs. Alexa Conradi is an award-winning author, speaker, trainer and feminist activist. 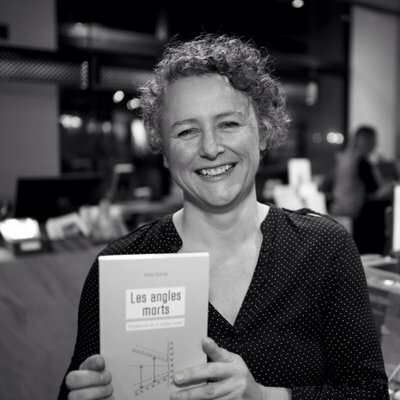 She is the author of Fear, Love and Liberation in Contemporary Québec: A Feminist Reflexion, to be published in 2019 by Between the Lines. From 2009-2015, she was president of Canada’s largest feminist organization, the Fédération des femmes du Québec. From 2006-2009, she served as the first elected president of the political party Québec solidaire. After years of swimming against the current, Alexa used her fellowship to write Les angles morts: Perspectives sur le Québec actuel about the blind spots facing Quebec society regarding feminism, relations with indigenous people, systemic racism, violence against women and rising inequalities. Frances Waithe is the co-founder and executive director of the Dare Every Soul to Achieve (DESTA) Black Youth Network, a community-based organization serving marginalized youth. She has spent the past 25 years working to improve the lives of the people in her neighbourhood of Little Burgundy in Montréal. Frances used her fellowship to reflect on her experience and to distill the future direction for DESTA’s programming and for herself as an agent of change in her community. Luc Gaudet is the founder and artistic director of Mise au jeu, a participatory intervention theatre company. Luc’s research on the use of games and theatre as a tool for personal and social development has taken him throughout Quebec and around the world. During his fellowship, Luc reflected on his social interventions through Mise au jeu and established a model of the stages in turning the public into actor. In particular, he focussed on the power of play in the process. Kim Pate is mother to Michael and Madison and a lawyer and teacher by training. 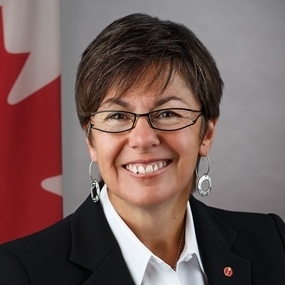 Prior to her appointment to the Senate of Canada, she was the executive director of the Canadian Association of Elizabeth Fry Societies (CAEFS), a federation of societies which work with and on behalf of marginalized, victimized, criminalized and institutionalized women and girls. Kim’s fellowship allowed her to develop strategies to advance human rights advocacy with and for a population who represent the fastest growing prison population. She trained law students in prison law and human rights; community support workers in identifying and addressing reintegration needs of women in and from prison; and criminalized women in addressing human rights and women’s reintegration needs. In her initial Senate address she signaled her intention to continue her advocacy work. Nicole Rycroft is the founder of Canopy, a nonprofit that works with the forest industry to develop business solutions that protect ancient and endangered forests. Nicole’s fellowship project asked how successful nonprofits can most effectively scale their impact to provide positive models of change in other communities and other regions of the world. She studied for-profit franchises and licensing among numerous models to evaluate how charities could best scale their influence and effectiveness across jurisdictions, without developing large and unwieldy structures. John Cox is a community development worker living in Halifax, Nova Scotia. He has a long history of advocating for people with disabilities, working with the Nova Scotia chapter of People First, the oldest self-advocacy organization for people who have been labeled intellectually disabled. During his fellowship, John examined the advocacy work of people labeled as having intellectual disabilities, and the influence and impact their mobilization has had on Canadian policies of inclusion. He documented the history of the People First movement in Nova Scotia and in Canada. For more than 40 years, Paula Carr has worked in the community services sector and with municipal and provincial departments, supporting leadership within local organizations in Saskatchewan and British Columbia. She is currently a health care system development agent with the Doctors of B.C. In her fellowship, Paula analyzed the community development practices of Collingwood Neighbourhood House in a culturally diverse Vancouver neighbourhood. She examined its methodologies for creating socially inclusive environments and developing intercultural leadership to inform work in similar contexts. 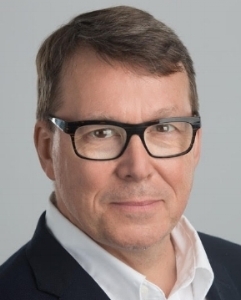 A former journalist, in 2002 Michel Venne founded the Institut du Nouveau Monde (INM), a non-partisan organization which promotes citizen participation. He is now a policy analyst and adviser. For his fellowship project, he studied the role of citizen participation in the creation and implementation of social innovations, with a particular focus on the work of INM, its citizenship schools and its citizen forums. He developed many resources to illustrate the tools used to engage citizens and to generate social innovation. Peggy Edwards is a health promotion consultant, policy analyst and writer based in Ottawa specializing in issues related to aging, social justice, voluntarism and gender. She is a leader in the Grandmothers to Grandmothers Campaign, which supports African grandmothers who are raising AIDS orphans. Vincent Greason is an adult educator who has been actively involved in grassroots community and labour organizations in Quebec and Ontario. On the board of the Ligue des droits et libertés since 2006, Vincent works at the Table ronde des OVEP de l'Outaouais, a popular education coalition in Western Québec. In 2017, he was awarded the Prix Émile-Ollivier for his lifetime achievement in advancing adult education. During his fellowship, Vincent examined the role that Quebec’s community-based organizations have played, and continue to play, in the collective life of Quebec’s community movement, focusing particularly on activist groups involved in the defence and promotion of collective rights. Penny Goldsmith is a BC social justice activist who for eighteen years was the coordinator of PovNet, an online communication network and teaching tool for anti-poverty frontline workers, community advocates and poor and marginalized people. During her fellowship, Penny wrote and subsequently published a graphic story entitled "Storming the Digital Divide: the PovNet Story" with artist Kara Sievewright. Penny has since become involved with a mental health choir. She also sings with Solidarity Notes, a choir which performs for social justice causes. The Carold Institute's publications considered pressing questions about democracy, citizenship and globalization, volunteerism, and more. Michael Clague, Leslie Kemp and Juliet Huntly provide lessons from 10 successful community service organizations in British Columbia from 1997-2008. Can democracy be renewed? How can it become truly participatory and open to all citizens? Building Local and Global Democracy describes the causes of the recent democratic deficit, and local and global efforts to counter it. Examining governance among indigenous people in British Columbia, the barriers to democratic participation experienced by women of colour in Toronto, participatory budgeting in a Brazilian city, and more, Building Local and Global Democracy shows how local and global realities affect citizen engagement in their democracies. Citizenship and Globalization summarizes a 2002 Carold symposium on the democratic worldviews of social movements, and how they drive positive change. It also summarizes the remarks of the event’s four speakers: John Foster of the North South Institute on human rights; Lorraine Guay of the World March of Women on women; Elizabeth May of the Sierra Club of Canada on the environment; and Nancy Neamtan of le Chantier de l’economie social on the social economy. The 1990’s were a time of political and societal change in Canada, with government cutbacks and more demands on health, social service and community agencies. Voluntary Action and Organization in Canada compiles reflections from nonprofit sector leaders on how the sector can remain vibrant and continue to contribute to Canada’s civil society.